Mark Crandall, LMSW, LCDC provides recovery support services from a foundation of integrity, honor, and compassion to those that suffer from substance use disorders and their loved ones. Mark is a Masters Level Counselor that not only brings a therapeutic approach, but also his own perspective from his struggles with addiction. Mark has been in recovery since 2007. Mark Crandall, LMSW, LCDC on addiction in the family. 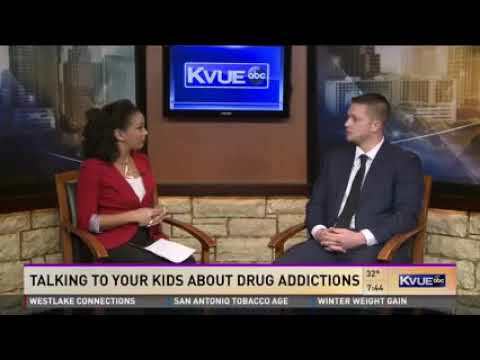 KVUE featured Mark Crandall, LMSW, LCDC to discuss the importance of talking with your kids about drug addiction. There are three main aspects of the intervention process. Identify leverage to empower the addicted individual to accept appropriate treatment. Mark will work closely with the loved ones to minimize enabling behaviors that may contribute to a failed intervention. Create a plan for how all involved are going to work toward change. When the enabling stops and the loved one engages recovery with healthy family support, the addicted individual stand a much greater chance of recovery success. Client arrives to an appropriate treatment program along with a detailed aftercare plan and dependable accountability from the interventionist. Aftercare planning is often an afterthought for interventionists, and all energies may be expended on getting to rather than following through. Recovery is often a lifetime process; Mark’s intervention services set clients up for lasting success. Families can heal, loved ones can change, and years of relentless anguish can end in that beautiful moment when your loved one agrees to commit to an actionable plan for recovery. Mark offers absolutely FREE consultation calls in which his only aim is to be helpful and to find out what the best approach is for all parties involved. If you would like to schedule a consultation please call (866) 433-1992.